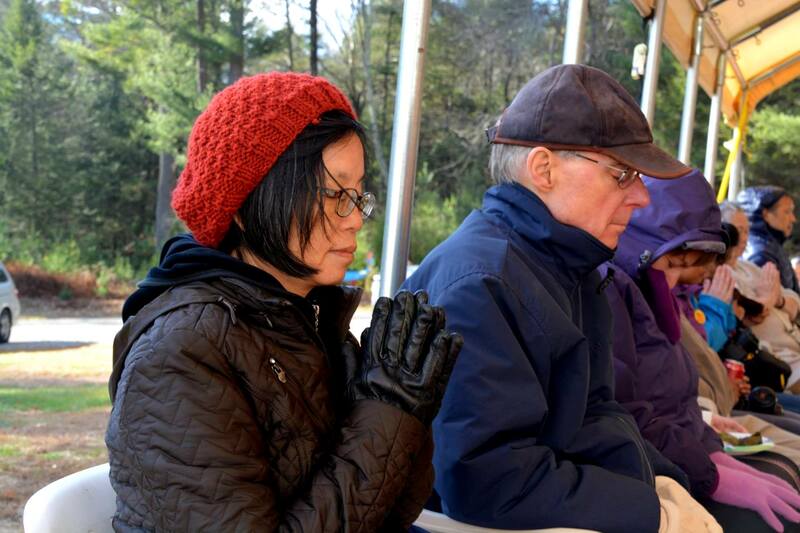 On November 8th, BGR held its fourth Walk to Feed the Hungry in Willington, Connecticut. 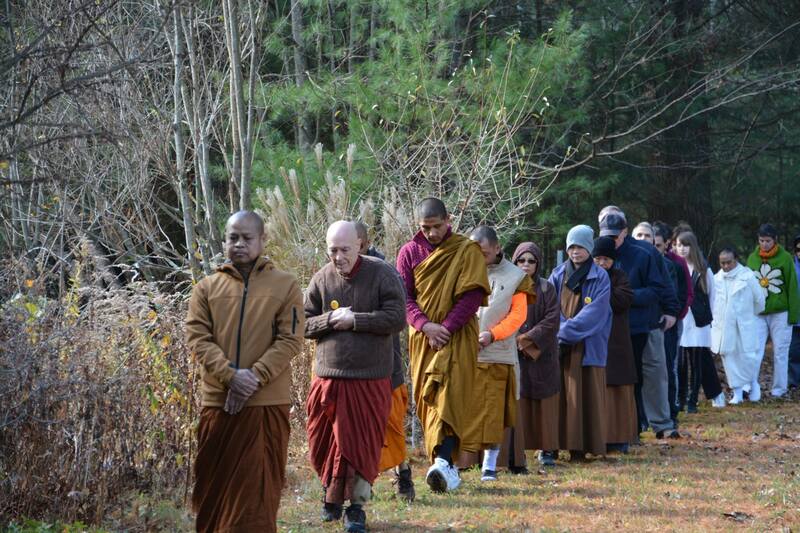 This walk differs from other walks in that it is not held in a place with public exposure but on the property of the Lao Lane Xang Buddhist Temple, set on a quiet road in the woodlands of rural Connecticut. Our host was the abbot of the temple, Ven. Bounlieng Sychoumphonh. 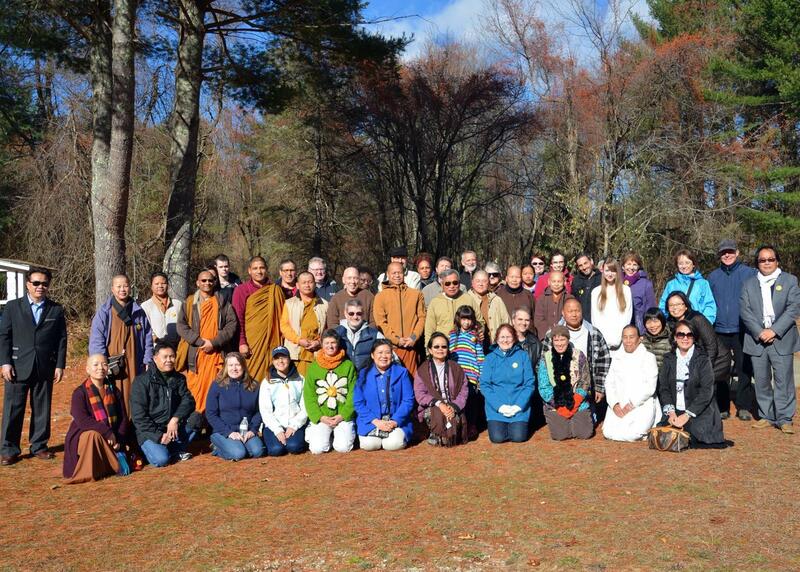 Monks from Nepal and Sri Lanka also participated, as did the nuns from Chuang Yen Monastery. About 50 laypeople from different parts of Connecticut and vicinity turned up for the walk. 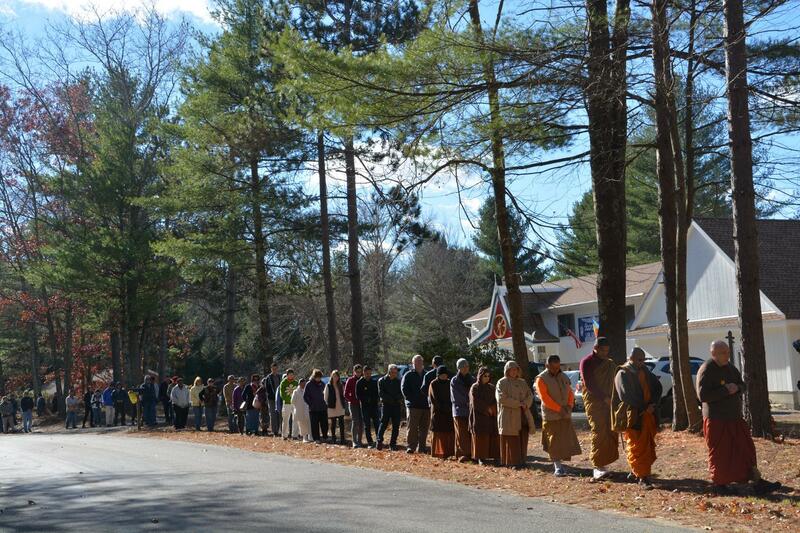 This walk is conducted differently from other walks: not as a procession through the streets or park, but as a slow and silent walking meditation, in single file, winding around the extensive property of the temple. The walk started at the side of the temple, continued alongside the woods, then around the back of the property, onto the road in front of the temple, and then toward the back, in an oblong shape. The walk was followed by a sumptuous meal generously offered by the Lao Buddhist community connected with the temple. Monks recited blessings before the meal, and then Ven. 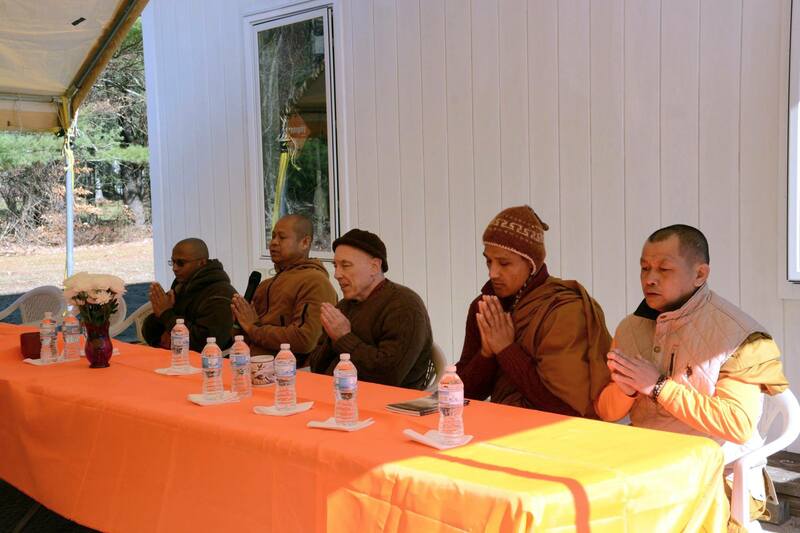 Bhikkhu Bodhi spoke after the meal. He explained the inspiration behind BGR and described several of the projects supported by donations from the walkers. 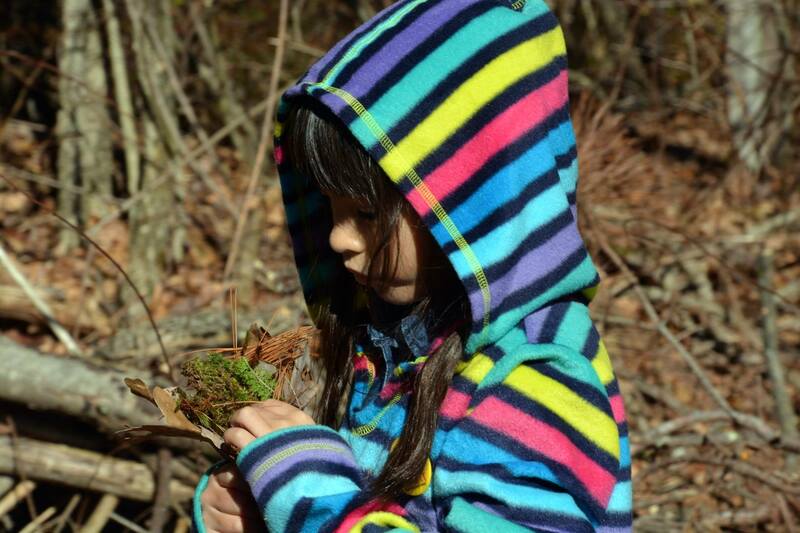 As in previous years, the walk in Connecticut was organized by Yuhui Alison Zhou, with assistance from her friends. Lay devotees, Yuhui Zhou in foreground. This entry was posted in Engaged Buddhism, Global Hunger, News item, Projects & programs, Walk to feed the hungry and tagged Bhikkhu Bodhi, Engaged Buddhism, Walk to Feed the Hungry. Bookmark the permalink. You can regularly check the BGR website. The walks were advertised in Tricycle too, in the early summer. Now the only walk remaining for this year is in Los Angeles. The walks take place annually, almost all between late September and mid-November. You can also check the Buddhist Global Relief Facebook page and “Like” it. Then you will get to see announcements about the walk and other events. But if you wish to make a donation to support the work of BGR, joining a walk is not necessary. Simply go to the BGR website, and you can make a donation there.